This engraving that dates from about 1920 is from the archives of the MIAC and is the only known image of D.W. Barker's Worcester Patent Brick Works that shows the hand worked narrow gauge railway. 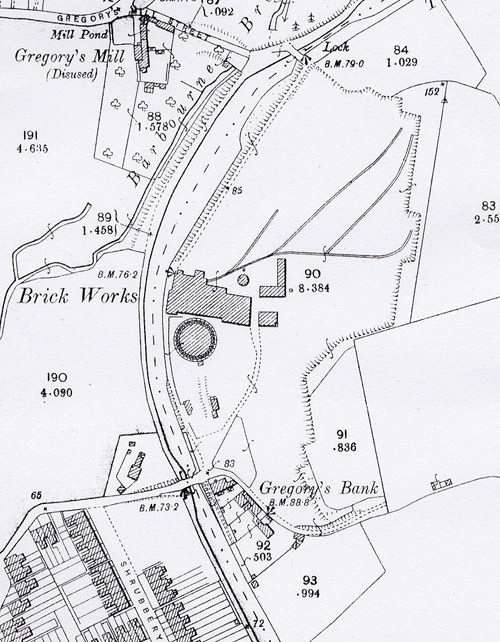 The brick works was located on the east side of the Worcester and Birmingham Canal at Gregory's Bank, Worcester. The wealth of detail in the image is impressive. There are several barges being towed by horses, two loaded horse drawn wagons and six narrow gauge skips to the right hand side. This extract from the 1905 edition of the Ordnance Survey map of Worcester shows that the engraving is a true representation of the site. The area to the west of canal marked '190' was the site of Worcester City Football Club until April 2013. Barker's Brickworks has long since been demolished and the site is now occupied by industrial units. 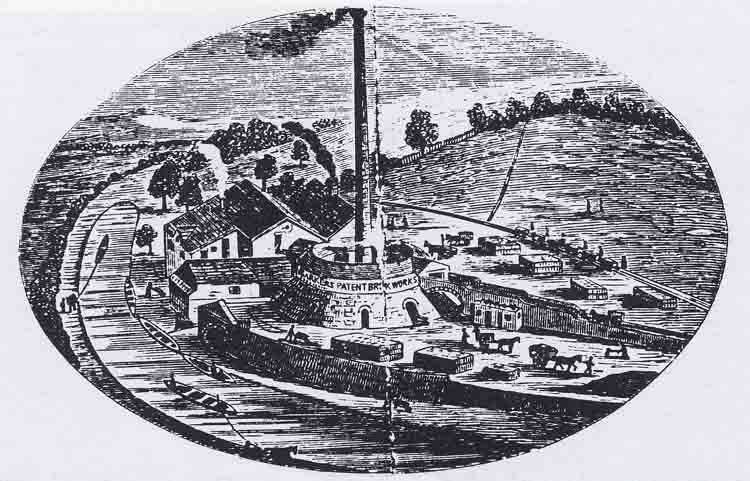 The tall chimney sat atop the kiln and this was demolished in the 1960s. The date when the railway was laid is nor known but it is not recorded on the 1886-7 Ordnance Survey map. In 2013 the site was redeveloped for housing.